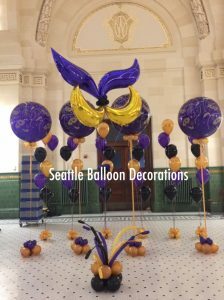 We offer balloon decorations from small to large for any type of event. And more. Any type of event, we can decorate for you! Please contact us for more detail and request. We travel Seattle, Bellevue and surround cities. * Parking fee will be applied when we need. 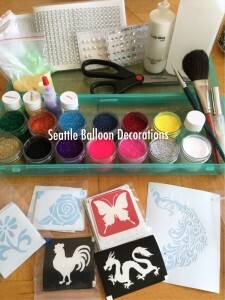 There are potential risks associated with the products and services offered by Seattle Balloon Decorations. 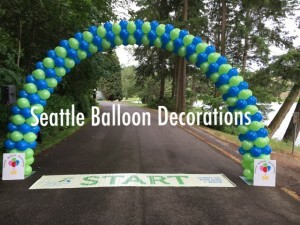 Seattle Balloon Decorations assumes no liability for the use the balloon decorations after delivery, or for any incidents that may result from the balloon twisting service, involving the client or any of their guests. For example, balloon manufacturers warn that children under age 8 can choke or suffocate on balloons; adult supervision is encouraged. Risks are not limited to this example. We offer Paper Flower decoration and art. 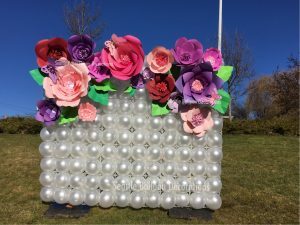 What the Paper flowers can do? We can make those flowers so big. That’s the biggest difference between real flowers and Paper flowers. There are no seasons:) any colors, any sizes we have. We can decorate any places, any items with our Paper Flower. Designs are unlimited. 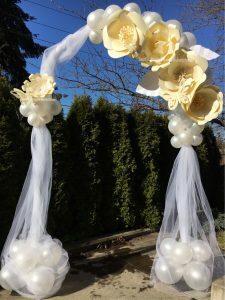 Change your event venue show window, wedding, indoor or outdoor so different, so elegant and beautiful. More pictures are on our gallery.